The main drivers of growing consumer demand in this region are the Affluent Asians. While much has been speculated about the attractiveness of their consumption patterns, there is a lot to be learnt about this consumer base. In response to the many questions marketers and brands have about this hard to reach and discerning customer base, we at Agility have designed an annual program – The Agility Affluent Insights series that aims to understand the target’s consumption patterns and brand preferences, and provide detailed insights on the Affluent Asian consumer. 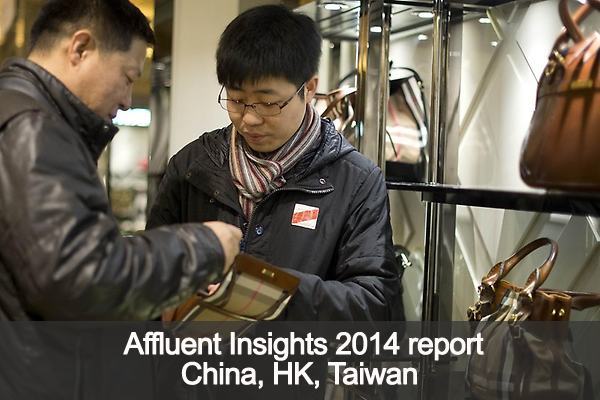 The Agility Affluent Insights 2014 was conducted online among 771 affluent respondents in China, Hong Kong and Taiwan.